There is a lot of talk about going green in our everyday lives and thankfully governments, businesses and individuals around the world are beginning to take actions to back up that talk. We are very aware and are trying where possible to take actions to improve what we do. As we make changes we will detail these on this page but keep an eye on our social media too! Our first change is our laundry! Hamble Point Yacht Charters provides pillows, pillow cases, tea towels and oven gloves for each and every charter. We also offer the option to hire duvets, towels and sheets to our customers. As you can imagine this results in a LOT of washing! So we have invested in an Eco Egg for our washing. 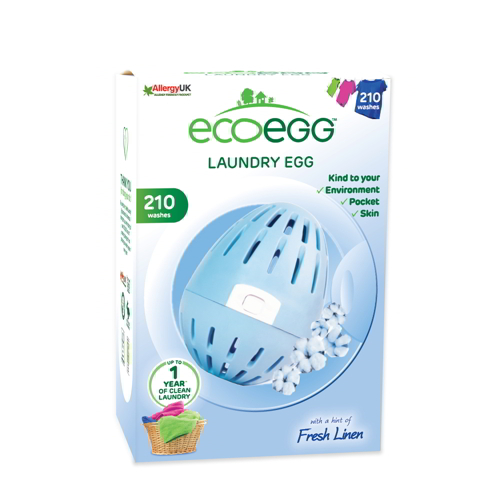 The egg can clean washing for up to three years without liquid or powder detergents, pods, or fabric softener. The small, plastic egg houses allergy and eczema-friendly mineral pellets, which generate suds in the washer to clean our laundry completely naturally and without chemicals.